Smooth elastomer inner tube resistant to deterioration from CO2 and flexible between -65° F and 125° F. Stainless steel reinforcing braid. Pin-pricked outer cover resistant to deterioration from elements and abrasion. Corrosion resistant brass end fitting with aluminum crimp collar. All assemblies carry a 5 to 1 safety factor. All assemblies pressure tested to 675 psig. 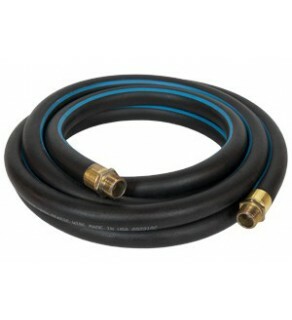 Hose is clearly marked with blue stripe with Flexible Components Polar/CO2 Liquid/Vapor 450 psi. 2 in I.D. 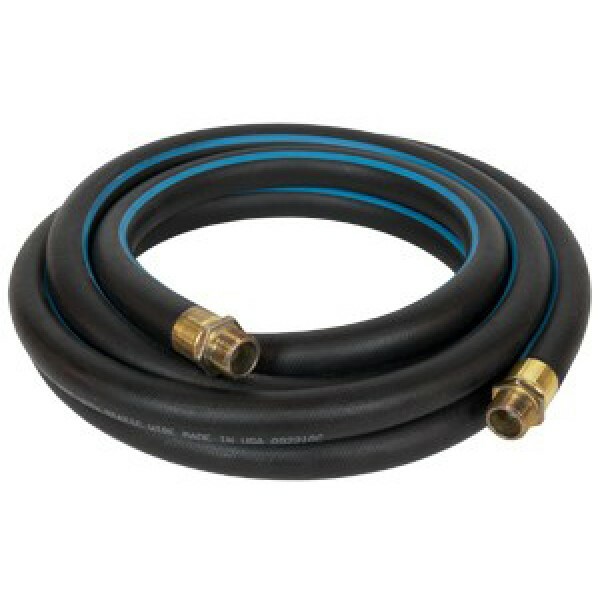 Polar Hose, Brass, 2" Female NPT E/E.